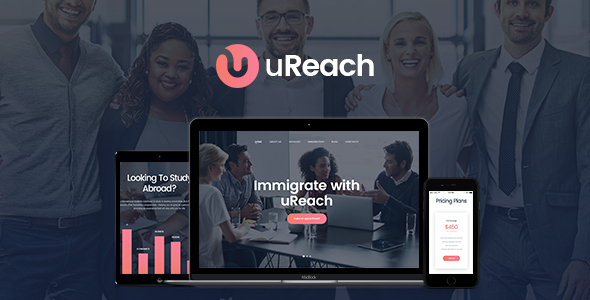 uReach is our new elegant theme is designed for those firms and offices who deal with immigration cases (work or study abroad), and student, youth or volunteer programs. Or it can also be used for NGO websites. The theme uses lots of cool features to build an informative website, as well as features compatibilities with world famous plugins â€“ Visual Composer, so that you could to craft your own layouts or modify existing onse; Revolution Slider, Essntial Grid and many more others to create a respectable online platform for your website.